Production Flow Packaging & Shipping 1.What's material of electric retractable gate9 Aluminum or stainless steel. 2.What is the best height of electric retractable gate9 1.6m. 3.How about the warranty and after-sales service9 We provide 2 years free warranty and lifelong paid services. 3, Infrared Anti-Collision Device: If there is pedestrian or vehicle during closing process, the gate will automatically stop 30 or 40cm away to avoid collision. 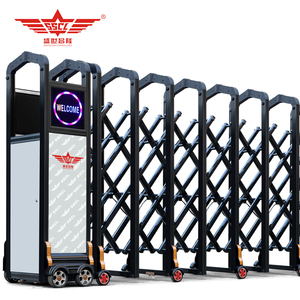 7, Machine Head: The professional motor of electric retractable gate and thickening base board increase its weight and traction. 8, Gate Material is with high strength polished stainless steel, with strong quality in hardness, anti-corossion and anti-collision. Liaocheng Xinli Building Materials Co., Ltd.
Foshan Jinjunrui Imp & Exp Co., Ltd.
Our mianly products: Wrought iron gates, fence , railings , staircase , furnitures, iron bed, chairs and tables. 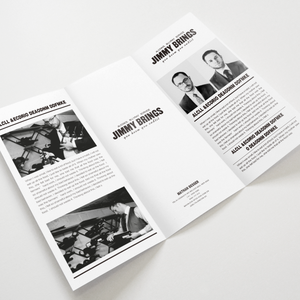 Should any of our products be of interested to you please feel free to contact us at any time. Specification: Material Made of wrought iron , iron ,cast iron or cast steel . 8) Infrared anti-climb-over alarm to reject anybody to throw over the gate. 10) Speed clutch is able to change the gate by electric control or manual control. Desktop remote control: It can be fexed on the wall or on the table to control the gate's opening or closing. Alibaba.com offers 9,832 folding gate products. About 22% of these are traffic barrier, 14% are gates, and 1% are gate operators. A wide variety of folding gate options are available to you, such as retractable, sliding, and swing. You can also choose from stainless steel, aluminum, and iron. As well as from automatic, manual control. And whether folding gate is free samples, or paid samples. 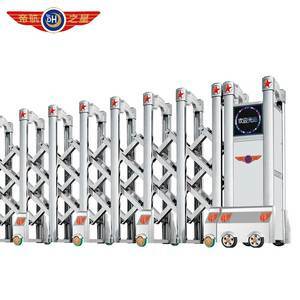 There are 9,837 folding gate suppliers, mainly located in Asia. 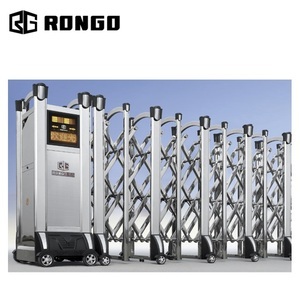 The top supplying countries are China (Mainland), India, and Singapore, which supply 97%, 1%, and 1% of folding gate respectively. 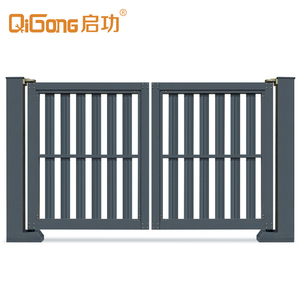 Folding gate products are most popular in Domestic Market, Southeast Asia, and North America. You can ensure product safety by selecting from certified suppliers, including 3,878 with ISO9001, 1,655 with Other, and 1,016 with ISO14001 certification.